Keeping your canine companion cool during these hot summer months is crucial to your pet’s h ealth. Dogs are very susceptible to dehydration and heat exhaustion, especially those “short-faced” breeds, such as pugs and bulldogs because of their vulnerable breathing ability. A canine’s only way of releasing heat is through the bottoms of their paws, where the sweat glands are located, and by panting. Even with these unique cooling systems, when temperatures climb, your pet may become overwhelmed, especially in humid conditions. So what happens when dogs get too hot? The most common result is heatstroke. Symptoms of canine heatstroke can include an increase in heart rate, labored breathing, purplish gum color, weakness resulting in collapsing, and even seizures, coma, or sudden death can be an onset of heatstroke. Most cases involving canine heatstroke are a result of confinement to a non-ventilated area, such as a car. Temperatures inside a vehicle even with the win dows rolled down can rise to above 120 degrees. Heatstroke can also occur due to over-activity on hot days. 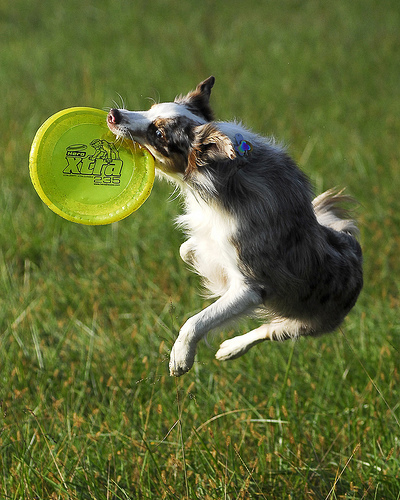 The excitement of chasing a ball or a Frisbee outweighs everything else in a dog mind. Your dog may not know when it’s time to stop playing and take a break, so be aware of your dog’s activity and breathing. Also keep in mind that you are wearing shoes to protect your feet from the hot surfaces on the ground but your pooch isn’t and the severe heat of pavement or sand on a hot summer day can be very damaging to their little pads. Most pet stores or boutiques will carry adjustable dog boot ies that come in different sizes to protect your dog’s paws. Dr. Nancy Kay, author of Speaking for Spot, suggests going for walks in the early morning or evening hours when temperatures are generally cooler. Another suggestion Martha Stewart makes is putting Vaseline on the pads of your pooch to reduce its heat level. Summertime and playtime go hand-in-hand for both humans and their beloved furry pals. We especially want to take them everywhere with us on our exciting adventures, but be advised that the best place for your pet is indoors. You may want to consider taking your canine companion to an indoor doggie play area where temperatures are controlled and your dog can be monitored. This would provide your pet with some fun exercise without getting overheated or burning their paws. Be sure your dog has access to plenty of fresh, cool water throughout the day and is kept in a cool area, preferably in an air-conditioned home or facility. 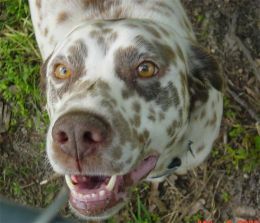 Sunscreen is also important for our furry friends, especially dogs wit h white noses and/or markings. When slathering on the sunscreen, be sure to put some on those white spots of your pooch. 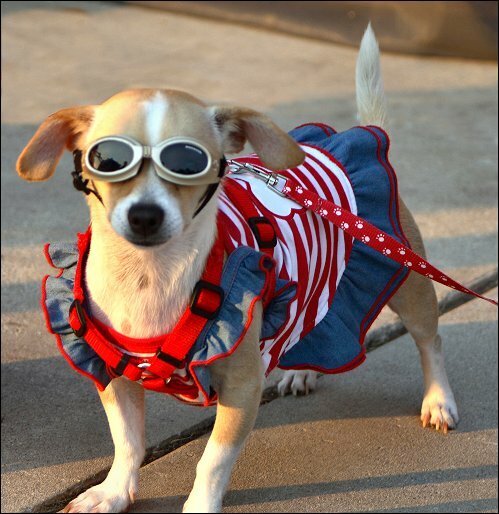 Here’s to a cool, comfortable, fun-for-all canine summer! To put your pet down, or to not put your pet down, that is the extremely difficult question many of us pet owners are faced with at some time or another. Some questions to ask yourself are: Is my pet suffering or in pain in any way? How has his/her quality of life changed? Is my pet exhibiting severe or dangerous behavior? Ask yourself these questions and I feel y ou might have an answer to our first question. A lot of times your pet will know when it’s time to go. They might even start distancing themselves from the family. Such as if your pet sleeps with you at night, he/she might start sleeping in another part of the room or house. Pack animals are known to separate themselves from the pack if they’ve become injured or weak to help prevent the stronger pack leaders from being hurt by protecting them. The decision to put a pet to sleep is always difficult and intensely personal. In most cases you will probably have some time to weigh your options and to speak with family and friends, unless there is some urgency, such as an untreatable injury or illness. 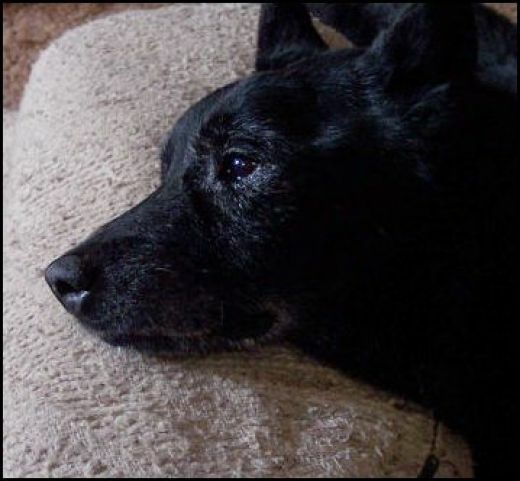 It’s a heart breaking experience for all pet owners, but surrounding yourself with people who knew and also loved your pet can bring a sense of closure. Remembering your pet in a positive way and all the loving moments you shared together can be a comforting exercise to do with your family, especially with younger children. Let them know that Buddy isn’t suffering anymore, that he’s no longer in distress, and encourage them to think of all the fun/happy times. Celebrate the times your family shared with Buddy and always remember the unconditional love you and your family experienced during Buddy’s life. If you have loved and lost a pet, I wish you serenity and acceptance over the sadness of your pet’s passing. Going to the vet can be a very frightening or stressful experience for your dog. Your furry friend may exhibit behaviors that they normally would not in the home setting. These behaviors can range anywhere from a usually timid dog becoming aggressive to a confident dog becoming frightened and scared. These are all behaviors that can be avoided with the proper training and simple exercises. For more on these training techniques and exercises please visit Dr. Kay’s web blog: http://speakingforspot.com/blog, where she gets tips from Jennifer Hack, a Chicago based professional dog trainer and behavior specialist. Just like humans, dogs and cats have immune systems to protect them from foreign substances. But also like in humans, animals can have allergic reactions to these foreign substances. For example: your pet may react to certain pollens, dust, an ingredient in its food, household chemicals, grooming products, and insect bites. These reactions can have a range of different effects, including itchy, swollen skin, difficulty breathing, or a disruption of the digestive tract, such as: vomiting or diarrhea. Pets that experience these types of allergic symptoms are often pretty miserable. Allergies are chronic and can cause life-long problems for pets and pet owners. The good news is that they can be managed with the proper diagnosis and monitoring. Contact allergies occur when your pet’s skin comes in contact with a certain material or substance it’s allergic to. Animals with skin allergies most commonly will have reactions to many types of shampoos and flea collars. The skin at the point of contact will be irritated, it may itch, become swollen or discolored, give off a strong odor, and/or loss of hair due to constant biting/scratching. Contact allergies are generally not a hard problem to solve since they’re usually confined to a specific area of your pet’s body. You can experiment by removing different materials that your pet touches or discontinue the use of grooming products until you find the one that irritates its skin. Also, many groomers often offer hypoallergenic shampoos and gentle treatments for sensitive pets. Food allergies and food intolerance are very separate issues and knowing which you are dealing with is the first step. A pet with an intolerance to a particular food type/brand will typically experience vomiting and/or diarrhea. Pets with a food allergy generally experience skin irritations, digestive disorders, respiratory issues, and/or infections of the ear canal. Most animals are not born with allergies to food; their immune systems develop an allergic response over time to some part of their diet. This problem can arise anytime in a pet’s life, but usually occurs between 2 and 6 years of age. Even pets that have been on the same diet for a long period of time can develop an allergy to that same food. Most often the pet is allergic to a specific ingredient in the food, which can be a challenge to solve. The most common food ingredients which pets are allergic to are: beef, chicken, fish, eggs, soy, wheat, corn, and/or milk. Once you’ve determined your pet has an allergy, you can begin the process of elimination to isolate the specific ingredient causing the reaction. This can be a long process and requires strict monitoring of your pets diet, which means no treats, vitamins, leftovers/scraps, or even plants around the house. Allergic effects of food can stay in the pets system for 8 weeks or more, so you may have to keep your pet on a special diet for up to 12 weeks to see how he/she reacts, and you may have to do this several times with several different diets before you find the one that doesn’t cause an allergic reaction. Inhalant allergies in pets are very similar to those we humans experience. 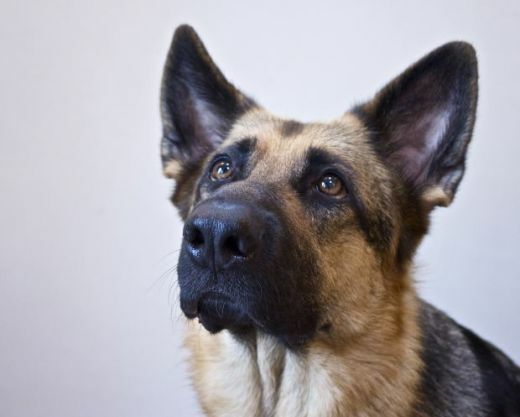 Like us, animals can be allergic to the pollen and mold in the outside air (hay fever), and dust mites, mildew, and mold that can be found indoors. These types of allergens can cause severe itching of the ears, feet, groin, and armpits of the animal, but can also be spread across the entire body. Hairless, irritated “hot spots,” caused by excessive chewing and scratching of the affected skin can also occur. Most pets with allergies to airborne particles are usually allergic to more than one. You may also find that your pet’s allergies are seasonal, for example: he/she experiences itchiness only during high-pollen seasons, like humans with hay fever. In this case you can limit your pet’s outdoor activity time during theses seasons. There are many facilities that offer indoor play areas where your pet can stay cool in the summer and warm in the winter and at the same time avoid certain allergens. Now, if your pet is suffering from an indoor allergen, or an allergen that doesn’t vary by season, there’s very little you can do to isolate him/her from that specific allergen, though you may consider an air purifier to provide some relief in the home. Flea allergies are probably the most common problem for pets, and they aren’t actually allergic to fleas themselves, but to the proteins found in their saliva when they bite. Affected pets can itch severely from a single bite for over 5 days. If you suspect your pet has fleas try frequent baths and/or administering prescription flea applications/pills. Many professional groomers will offer flea and/or tick treatments to assist you in the removal process. We recommend consulting your veterinarian once you’ve chosen a flea repellent, so as not to cause anymore harmful reactions. You will also want to treat your pet’s environment, including bedding, upholstered furniture, and carpet. Eliminating fleas can be a tedious process and may require several treatments for your pet and home. When treating the home, we recommend having alternate accommodations for your pets so that they are not exposed to the harsh chemicals found in home treatments. In some cases, pet owners may become frustrated by not being able to determine exactly what is causing their pet’s allergic reaction. This is when you and your veterinarian should work together. Your veterinarian may be able to conduct blood work and/or intradermal (scratch) tests to better determine what it is that your pet is allergic to and then recommend possible treatments, or combination of treatments to alleviate your pet’s symptoms. Treatment of your pet’s allergies will require a lot of patience and determination, but rest assured, with the time and effort, you can help your uncomfortable pet start to feel comfortable again! FitnFurry says Enjoy The Holiday Season With Your Pets! We think of our pets as a part of the family so when the Holidays come around it’s great to be able to include them in the fun. Keep in mind that during this busy time there are things we should share with our furry friends and things that are better off left to their humans. Here are a few ideas to keep them safe and enjoy their company in the hustle and bustle of the season. It’s the time of year for parties which means lots of food and drinks and people. There are foods that are perfectly fine for humans but can be very dangerous for your pets. To avoid any unwanted trips to the vet stay away from rich foods which can cause pancreatitis or other illnesses. If you are going to give them some turkey, make sure you take off the skin and don’t give them any gravy or mashed potatoes. Also, never give them sweets, chocolate or caffeine. If you keep extra dog treats around for the Holidays they will be just as happy with those and you won’t have to worry about them getting sick. There are also decorations and plants that can be harmful to your pets this time of year. You may already know that poinsettias are poisoness to pets but so are azaleas, philodendrun and cranberries. They can also get sick from drinking Christmas tree water, especially if you treat the water to preserve the tree. You can try spraying the area with a citrus scent to keep them out of harms way. Ornaments and lights can also be tempting toys for your pet so it’s best to try to keep them out of reach if possible. Also, If you wrap candy or chocolate as gifts do not put them under the tree or leave any baked goods on counter tops where they may be too tempting. There are some great ways to include your pets in the Holiday fun that are easy and inexpensive. You can take them on nice walks to enjoy the festive lights and decorations in your neighborhood. You can have fun dressing them in holiday sweaters and collars or get their picture with Santa! You may even want to give them their own stocking with some special dog treats or toys so they have something to keep them busy while you are eating and opening presents. This is the perfect time to get them spruced up at the groomers so you can show them off to friends and family when they come to visit. You can even have the groomers dye their fur to look more festive for the season! How ever you choose to celebrate the season don’t forget to include your pets and do what you can to keep them safe and healthy. After all, they are a part of the family and absolutely love any and all attention no matter what time of year. Enjoy the holidays and stay safe! Training is the best way to keep your pet safe and establish a healthy relationship between you and your dog. There are so many factors involved with caring for a pet and if you start training at a young age you can save yourself a lot of worries in the future. Training can make walking your dog more enjoyable, taking them to the dog park safer and having people over to your house a lot less hectic. 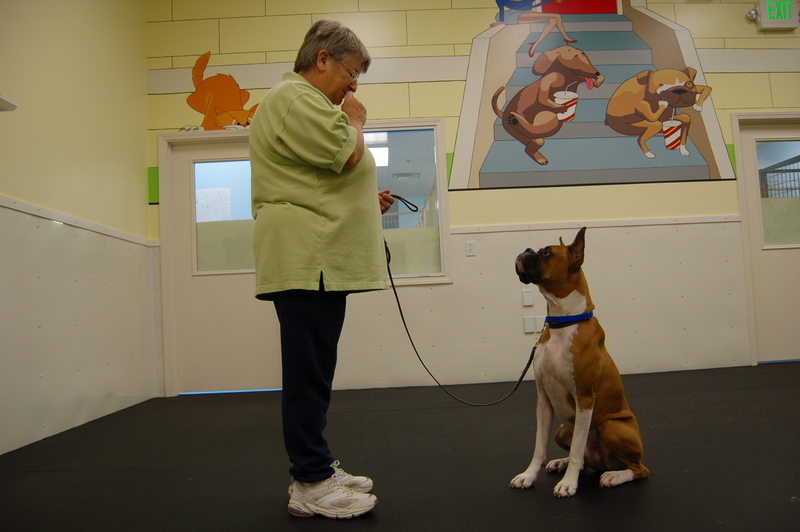 Whenever you start basic obedience training the most important thing you can do is BE CONSISTENT . Dogs are creatures of habit and any training you do must be re-enforced regularly in order to stick. So this means you are being trained as much as your dog is. It’s very hard to resist your cute, adorable, furry baby when he tries to get up on the couch or bed with you or when he gnaws on your hands but habits like this could mean disaster as he/she gets older. Your dog is happiest when he knows what you want from him so when you train him it helps to strengthen your bond and gives him a way to make you proud. When you w alk a well-trained dog on a leash, YOU are in control at all times and not being dragged down the street. If you come across another dog you do not have to worry about your dogs reaction. You can enjoy the fresh air together and get some healthy exercise without dreading a misbehaving dog. When you take your dog anywhere off leash whether it be the beach, a dog park or even your front yard, basic commands like come, stay or heel can save their life. You don’t want your dog to chase things unexpectedly or take off in front of a car. It can be a pleasure having people over to your house when your dogs are well behaved. They won’t jump all over company or try to get out of the house and take off when people are coming and going. Without the proper training some dogs become so territorial that they won’t even let anyone in your home without going crazy.The peace of mind of having a well- mannered pup makes entertaining much more enjoyable. Having a dog is a long term commitment and a lot of responsibility. As cute and loving as they are, they can also be challenging and maddening, especially if they are not trained. When you take the time to create structure, teach commands and give your dog boundaries it feeds their desire to please you. It makes them more relaxed when they know what you want from them.. so teach them. Give them positive re-enforcement when they do good and don’t tolerate bad behavior. This means you can’t be lazy and confuse them because sometimes they get away with it and sometimes they don’t. 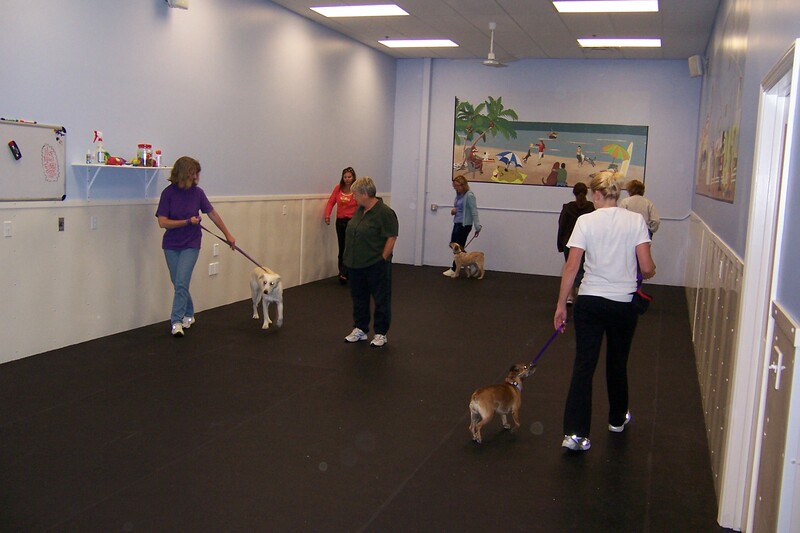 There are reputable trainers and pet facilities that can help you. Train your dog, they will love you for it and your life will be a lot easier in the long run. You’re Going On Vacation but What About Me? Can I Go to FitnFurry? It’s the time of year when we are making plans to get out of town to celebrate with friends and family but what about our furry family members that can’t always come along for the ride? The main thing to remember is that you have options. If taking your pets with you is not an option you can find a reputable in-home caregiver to come and feed and walk your pets while you are away. Make sure they are bonded and insured and most of all make sure you feel comfortable with having someone come into your home and that your pets will get the care they need. Another option is leaving your pet with a professional caregiver. Boarding facilities can be a reliable choice when you are away. Most places are reasonably priced and well equipped to give the necessary care your pet needs. It is always a good idea to check out a few different options and find one that is the best fit for you and your pet. Places are popping up all over the country that are not your standard “kennels”. There are all inclusive pet resorts that can offer training and grooming while they are boarding so you can go on your vacation and when you pick up your furry friend they will be well mannered and looking great! If you are home for the holidays you may still want to board your pets for a day or two or drop them off for some doggie daycare. With the hustle and bustle of the season people may be coming and going more than usual which increases the chances of having a lost pet. Also, there are many poisonous things for your pet to get into such as poinsettia plants, christmas tree water or turkey bones. When our schedules get hectic our animals sometimes suffer so why not drop them off for some doggie playtime while you’re doing your shopping or entertaining. Make the holidays fun for everyone including your furry family members!